Generations of quilters have been captivated by the simple beauty of red-and-white quilts. Today's quilters are no different. Whether it's humble patchwork or more complex designs, a quilt stitched in only red-and-white fabrics speaks to the hearts of so many quilters. In Red & White Quilts, 14 of our generation's top designers share their takes on red-and-white quilts, ranging from vintage-inspired beauties to more modern styles. 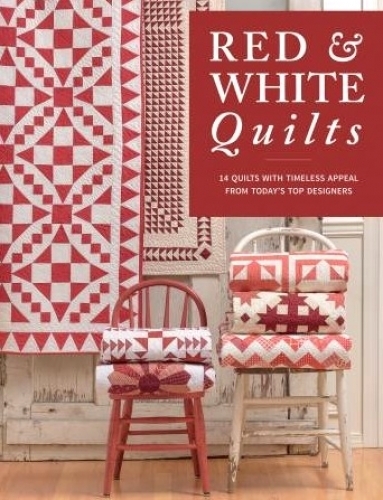 From patchwork to applique to English paper piecing, designers including Lisa Bongean, Kim Diehl, Carrie Nelson, Camille Roskelley, and Jen Kingwell offer a one-of-a-kind collection sure to inspire quilters to create their own legacies in red and white. 112 pages.